If flooding happened in a home, carpeting may become destroyed whether it isn’t washed and dried the right way. 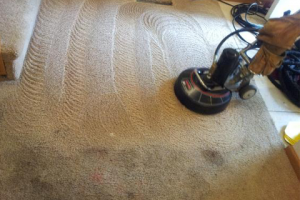 Our Carpet Cleaning can measure the situation immediately and can use special cleaning equipment to dry the fibres. Carpeting which was formerly stained or which had a poor odor won’t matter. Carpet cleansers be extra careful when cleaning carpets and can make certain that every one is restored to the previous condition. The cleaning team is able to treat carpets of all sizes. Organic and biodegradable cleaning agents are used that will not leave behind any odors or residue. An individual will not have to worry about being exposed to dangerous chemicals while the cleaning process is being completed. The carpet can be walked upon as soon as the cleaning steps are completed, allowing individuals to complete their daily responsibilities without any delays. If an individual is suffering from allergies, the cleaning process will not cause any additional respiratory distress. After a carpet is cleaned, an individual may find that the air inside of their home is cleaner, allowing them to breathe with ease. Many people who have been suffering from allergies may find that most of their problem was due to a dirty carpet. A carpet specialist can assist individuals during emergency situations and will work hard to clean and dry the carpet in a timely manner. If a person decides to have a carpet specialist assist them, they will not have to worry about losing the carpet that they have purchased or needing to have costly repairs made to it. Carpets that are treated will look as good as new after the cleaning agents and special equipment is used. The inside of an individual’s home will look better once cleaning has been completed. The team now delivers their services in a number of suburbs of Sydney as well as Hills Districtly , Parramatta & upper North Shore, call us at 0414 387 608 for our Carpet Cleaning.